We learned with great sadness the passing of our friend and fellow art lover Fritz Racine. Mr Racine supported the foundation’s effort for the Musee d’Art Haitien as well as all of its other initiatives. On August 9 2015, he had traveled from Washington to be present at the hommage paid to Michel Philippe Lerebours at the Queens Museum of Art. A great loss to the whole Haitian art community. We send our sincere condolences to his family and friends. C’est avec tristesse que nous avons appris le décès de Gerald Bloncourt. Nous présentons nos sincères condoléances à sa famille et ses amis. Gerald était un artiste peintre, un poete et un photographe.. En 1944, il est l’un des membres fondateur du Centre d’Art Haïtien. Exilé d’Haïti pour sa participation à la révolte des étudiants en 1946 aux côtés de Jacques Stephen Alexis et de René Depestre, il n’a jamais oublié sa terre natale. Installé à Paris depuis des décennies, il a mené de front, sans discontinuer, son travail contre les dictatures et pour les lendemains qui chantent. En 1986, Gerald a publié avec Marie-José Nadal-Gardère le livre d’art de référence « La Peinture Haïtienne » (Haïtien Arts). Il avait généreusement contribué à la levée de fonds pour la réhabilitation du Musée d’Art Haïtien en donnant plusieurs digigraphie de ses œuvres. Son travail pour le changement et son travail d’artiste font que Gerald restera à jamais dans la mémoire du peuple haïtien. "Tu es la rescapee" artwork he donated to raise funds for the repair of the Musee d'Art Haitien. C’est avec beaucoup de tristesse que nous avons appris le décès de Christian Nicolas, (Kristo). Malade depuis quelques années, il a toujours fait preuve d’un grand courage face à une situation qu’il savait sans issue. On l’avait rencontré à Montréal l’été dernier et malgré ses problèmes de santé qui s’aggravaient, son intérêt pour l’art restait entier et il avait de nombreux projets en tête. Le décès de Kristo est une très grande perte pour l’art haïtien. Nous présentons nos sincères condoléances à toute sa famille et ses nombreux amis. Kristo was born in Haiti in a family where literature and the arts were prominent. He was guided into painting by Jean-Claude Tiga Garoute. Kristo is also a published poet and a writer. Son of Bagadri artwork he donated to raise funds to repair the Musee d'Art Haitien. With deep sadness we learned the passing of our friend Milo Placide after a long illness. Our deepest sympathy to his family & friends. Milo était un membre actif du Comité de soutien au Musée d'Art Haïtien cree par la fondation culturelle Toussaint Louverture. Milo était un architecte passionné d'art. Il a étudié à la Galerie Brochette sous la direction de Luckner Lazard, Dieudonné Cédor, Geo Ramponneau et Villard Denis (Davertige.) Il a aussi suivi des cours de céramique avec Tiga tout en peignant avec Manès. Ses études architecturales ont influencé son style artistique, renforçant son sens des formes géométriques et de la mise en page. Milo était un artiste talentueux qui aimait son pays. Il a souvent soutenu et contribué à des causes qui faisaient la promotion de la culture haïtienne. Milo was an active member of the Musée d'Art Haitien Support Committee created by the Toussaint Louverture Cultural Foundation. Milo was an architect who was passionate about art. He studied at the Galerie Brochette under the direction of Luckner Lazard, Dieudonné Cédor, Geo Ramponneau, and Villard Denis (Davertige.) He also took ceramic classes with Tiga while working on painting with Manès. His architectural studies focused his art by strengthening his sense for geometric forms and layout. Milo was a talented artist who loved his country. He often supported and contributed to causes that promoted Haitian culture. Milo is survived by his wife Adeline, his daughter Johanne, his grandson Xavier, his brothers Manfred and Henry and several nieces and nephews. With deep sadness we learned the passing of Saint-Jean Saint-Juste, one of the first artist of the Saint Soleil Movement. Our deepest sympathies to his family and friends. 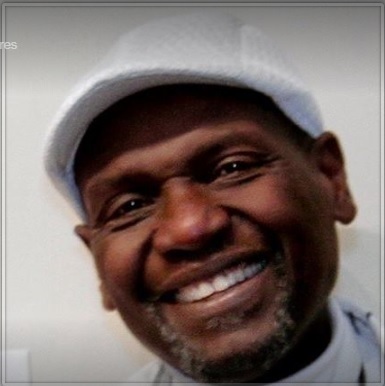 Saint-Jean SAINT-JUSTE who was born in 1954 in Seguin in the south-east of Haiti, was a carpenter before working for Tiga. In 1972, he participated in the creation of the Saint Soleil movement which was at first called Poisson Soleil. Saint Juste remained faithfully attached to Jean-Claude Garoute until his death in 2005. With deep sadness we learned Lafortune Felix passed away a few weeks ago in Haiti. It’s a great loss for the art world in Haiti and abroad. 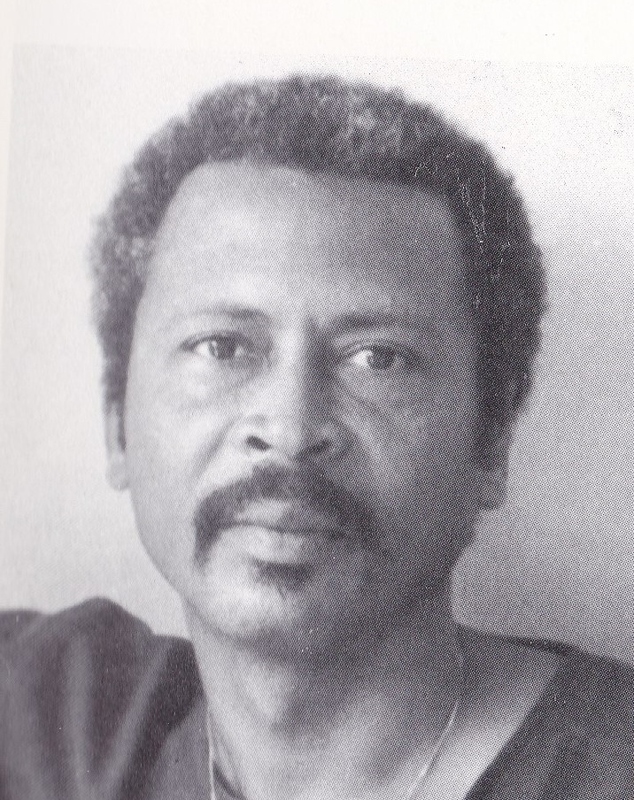 Lafortune Felix was born in Pont-Sondé, Haiti in 1933. 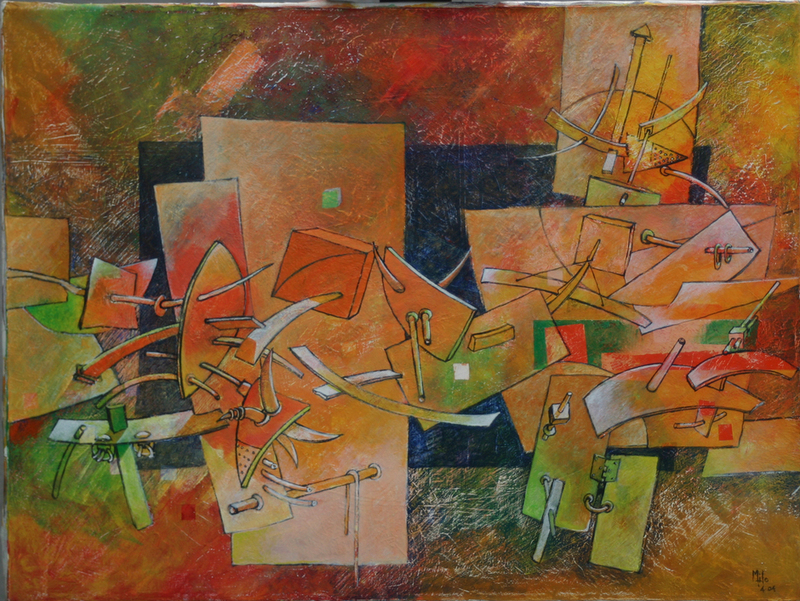 He started to paint in 1974 after he was encouraged to do so by Pierre Monosiet, who was at that time the director of the Musée d'Art Haitien du Collège St Pierre. He was one of the last great painters from the Artibonite region. Lafortune Felix est né à Pont-Sondé, Haiti en 1933. Il a commencé à peindre en 1974 , encourage par Pierre Monosiet, directeur du Musée d'Art Haitien du Collège St Pierre à l’époque. Il etait un des derniers grands peintres de l'Artibonite. Untitled, acrylic on canvas, 29"x30 "
We learned with sadness the passing of Haitian artist René Exumé. He was born in Petionville, Haiti on Oct 24 1929 and passed away on Nov 20, 2016 in New York U.S.A.
Left: Rene Exume at his birthday last year with fellow artists Eric Girault and Dominique Volcy with his wife. 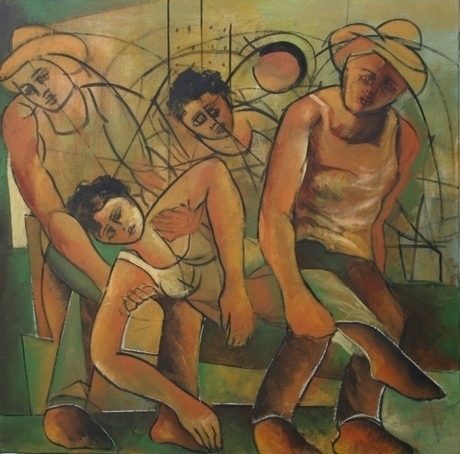 René Exumé joined the Centre d’Art in 1948 where he started to paint under the direction of Dieudonné Cédor. In 1950, he became a founding member of the Foyer des Arts Plastiques of which he later became its director. He worked with Lucien Price, Max Pinchinat and took classes from the A.B.C. School. 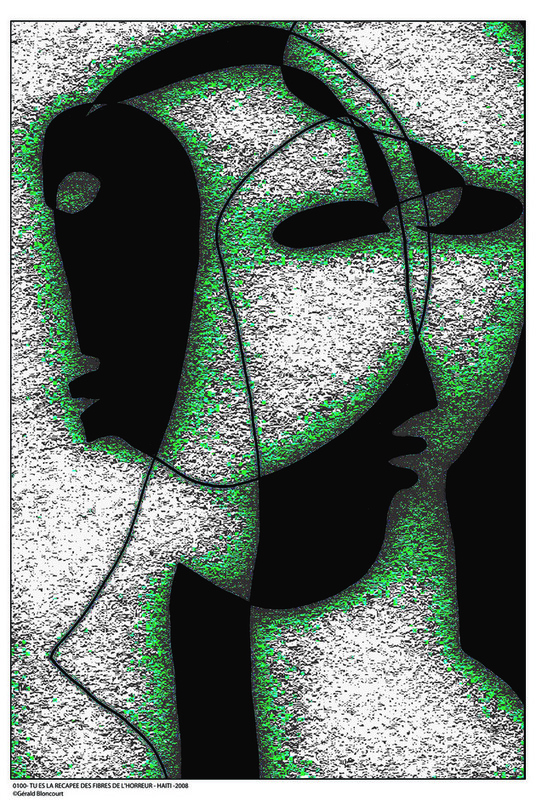 René Exumé was a great artist. His work has been in exhibits around the world and is part of many private collections.Sincere condolences to his family and friends. C’est avec regret que nous avons appris le décès de Mr. Henri Bazin survenu à Port-au-Prince ce mardi 4 août 2015. Economiste de profession, il était connu pour son professionnalisme et son honnêteté. 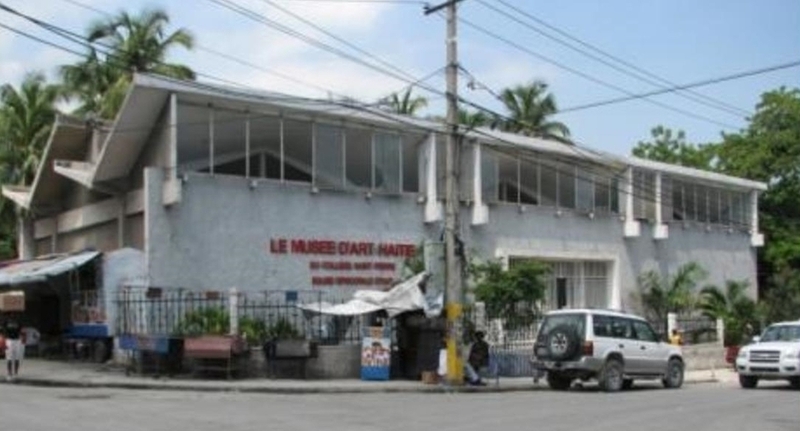 A part les activités liées à sa profession il était un membre dévoué du conseil d’administration du Musée d’Art Haïtien du Collège St. Pierre. Il a joué, entre autres, un rôle important dans les efforts pour trouver de l’aide financière devant servir à la reconstruction du musée endommagé par le séisme de 2010. Nos sincères condoléances à sa famille, ses amis et aux membres du conseil d’administration du musée. It’s with great sadness that we learned that our dear friend Dr. Ketty Hyppolite Rey passed away on April 21st 2015 in Queens NY. Dr. Rey was a great art lover and an avid collector of Haitian artwork. She had great interest in and supported the efforts of the Toussaint Louverture Cultural Foundation for the rebuilding of the Musée d’Art Haitien du Collège St. Pierre. Dr Ketty Rey in her home a few months ago. Dr. Rey was an outstanding Haitian professional. She was a doctor and a lawyer and had extensive experiences and responsibilities in the fields of health, drug prevention and social services in the US, Haiti and other foreign countries. She was a pioneer in the substance abuse prevention field. Since 1989, the Ketty Award, named after her, is given out annually to recognize the work of one individual in that field. Dr. Rey is the author of “A Culturally Competent Health Care System,” a book that stresses the importance of taking into account the ethnic and racial diversity in New York City in the field of healthcare. Our deepest sympathies to her family and friends. May she rest in peace. It’s with deep sadness that we learned the passing of Ludovic Booz on February 2nd, 2015 in Miami after a long illness. Ludovic Booz was a talented artist and a man of great simplicity and generosity. It's a huge loss for the Haitian people and the Haitian artist community. We send our deepest sympathy to his family and friends. Ludovic Booz is best known as a sculptor. The painter, however, was able to develop a very personal style and as such, is very interesting. His depictions are usually tragic when, reinforced by the use of warm tones drowned under the grayness, it doesn’t fall into complete despair. 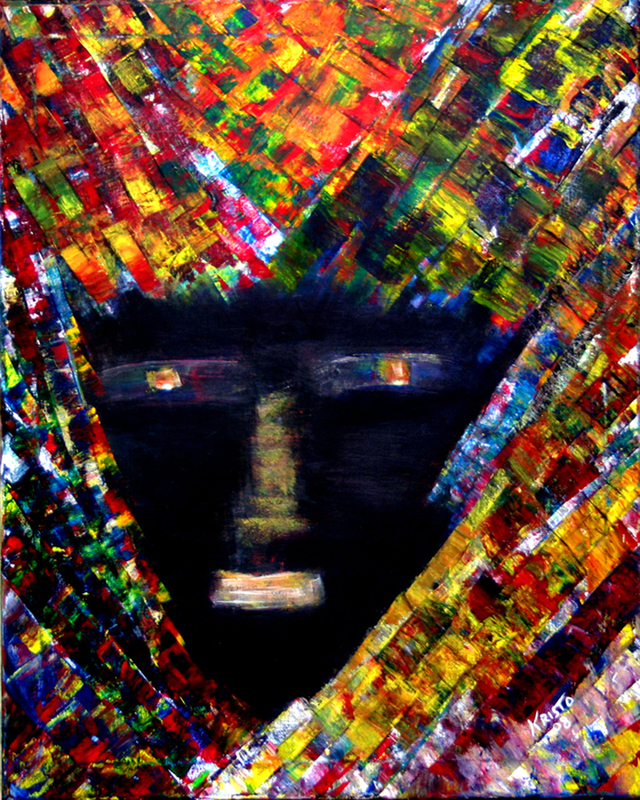 His work has been exhibited in the USA, France, Canada and the Caribbean. 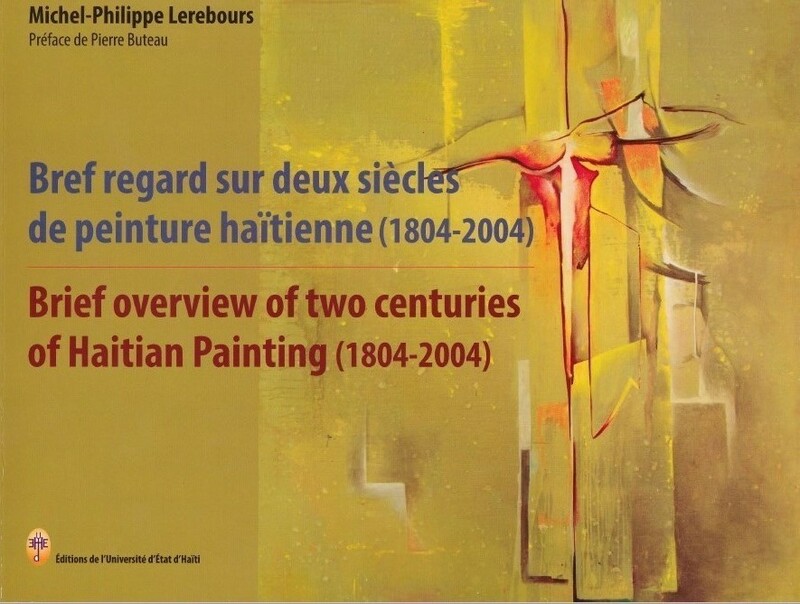 In 2012, Ludovic Booz answered the Call for Haitian Art launched by the Toussaint Louveture Cultural Foundation and donated his painting “Les naufragés.” It became part of the "Save A Museum" art collection to raise funds for the repair of the Musee d'Art Haitien du College St Pierre severely damaged during the 2010 earthquake. Les funérailles de l'artiste peintre Andrée Mallebranche ont été chantées à Pétionville ce 20 février. 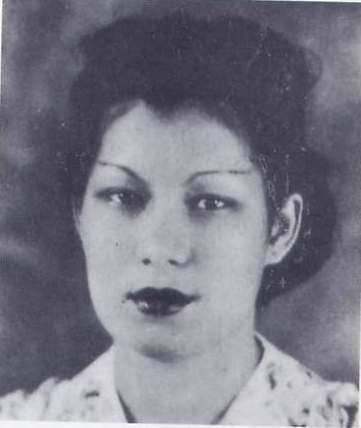 Elle avait reçu une solide éducation à Cuba, et avec Lucien Price, Dewitt Peters, Albert Mangones, Georges Remponneau, elle a fait partie de l'équipe de professeurs qui s'est dévouée dans les premiers jours du Centre d'Art en 1944. Elle a contribué à la formation de nombreux jeunes artistes dont Luce Turnier et Luckner Lazard. Avec le Rev. James Petersen, Gerarld Bloncourt, elle a réalisé vers 1945 les premières murales religieuses en Haiti dans la crypte de l'église Sainte Thèrèse à Pétionville ceci bien avant celle de la cathédrale épiscopale de Port-au-Prince. Elle laisse une œuvre remarquable qui malheureusement n'est pas assez connue mais fait honneur à l'artiste et à la nations haïtienne. 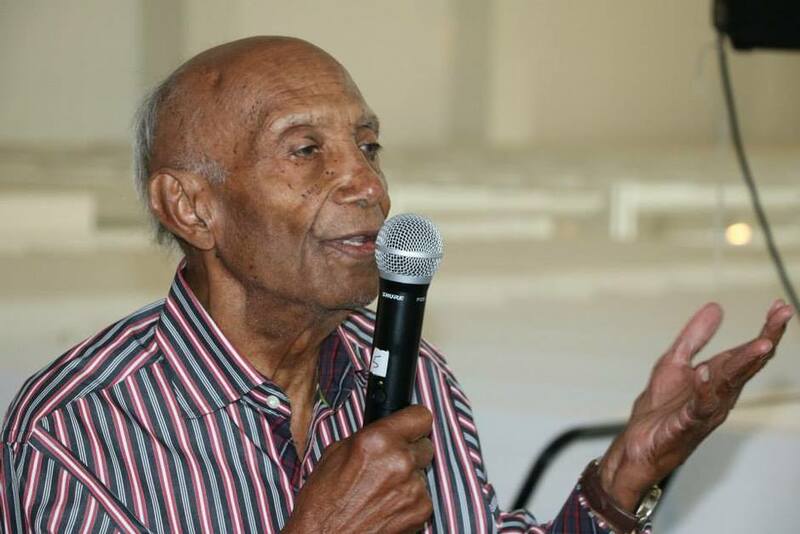 Andree Malebranche - Born in Port-au-Prince in 1920, passed away on February 13, 2013. She was a member of the Centre d'Art from the beginning and one of its teacher. Among her students were Luce Turnier and Luckner Lazard. She did one of the first frescoes in Haiti at the St Therese Chapel in Petionville in 1945 with James Petersen and Gerald Bloncourt. The work was destroyed a few years later because the news priest didn't like the Black Virgin in the frescoe. Photo taken from La Peinture Haitienne. 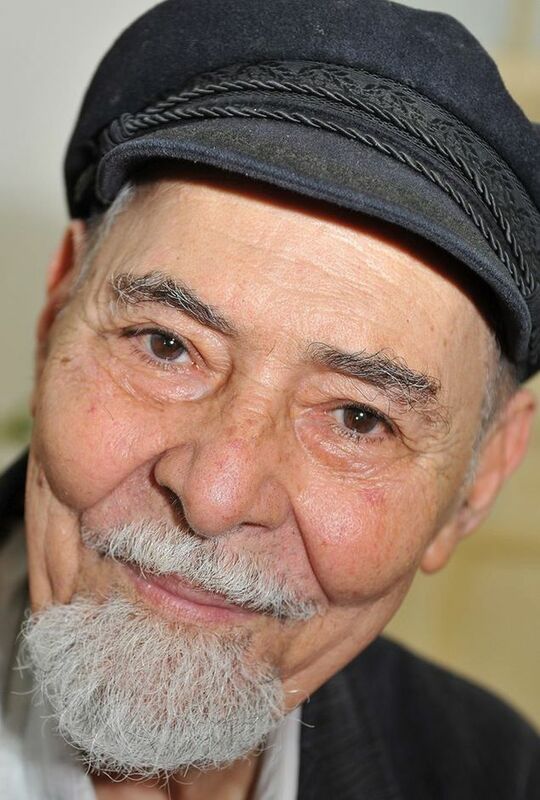 Georges Remponeau, one of the main founding members of the Centre d’Art in Haiti and a leading Haitian artist of the 20th century passed away last Friday night, December 21, 2012, in New York. He is seen here at a ceremony honoring Luckner Lazard in 1999, a year after Lazard's death. Standing next to him at the microphone is Luckner Lazard's wife. Georges Remponeau was born in Port-au-Prince on 16 September 1916. In 1930, he met Pétion Savain and began to haunt the Pont Saint Gérard group. From a young age he had, on his own but passionately, nurtured his aptitudes for drawing and painting. William Scott’s work was a revelation to him and, like Savain, he took a fresh start in the style of the black American painter. Encouraged by his wife Madeleine, he decided to devote himself entirely to painting. In 1939, his painting Marchand de Cocos won a bronze medal at the International Exhibition organized by IBM. Shortly after his return to Haiti in 1943, he met Dewitt Peters and introduced to him artists and other intellectuals of Port-au-Prince. He was one of the main founders of the Centre d'Art in 1944. Art teacher in the new association, his influence on young artists was rather deep. He lived in New York since 1964. Georges Remponeau naquit à Port-au-Prince le 16 septembre 1916. En 1930, il fut présenté à Pétion Savain et commença à fréquenter le groupe du Pont Saint Gérard. Depuis son plus jeune âge, il avait seul mais passionnément cultivé ses dispositions pour le dessin et la peinture. L’œuvre de William Scott fut pour lui une révélation et, comme Savain, il prit un nouveau départ dans le sillon du peintre noir américain. Encouragé par sa femme Madeleine, il décida de se consacrer entièrement à la peinture. En 1939, son tableau Marchand de Cocos remporte une médaille de bronze à l’Exposition internationale organisée par la IBM. Peu après son retour en Haïti en 1943, il rencontra Dewitt Peters et le présenta aux artistes et autres intellectuels de Port-au-Prince. Il fut l’un des principaux fondateurs du Centre d’Art en 1944. Professeur de dessin dans la nouvelle association, son influence sur les jeunes artistes fut assez profonde. Il habitait à New York depuis 1964. Extrait de « Haïti et ses Peintres, Tome II » de Dr. Michel Philippe Lerebours. 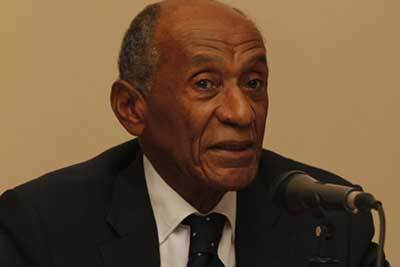 Raphael Denis, a founding member of the Musee d'Art Haitien Support Committee of New York, was born on June 5 1934 in Port-au-Prince Haiti and passed away on July 7 2012 in Brooklyn NY. He was an artist of great talent and an humble man who loved his country. He was always willing to support and contribute to causes that promoted culture and democracy in Haiti. We will miss him dearly, but his art and spirit will remain with us forever. ael DENIS est né le 5 juin à Port-au-Prince en 1934 et est décédé le 7 juillet 2012 à Brooklyn NYen sa résidence. Il s’est d’abord adonné à la reliure avant de se tourner vers la peinture qu’il travailla à la Galerie Brochette en suivant les conseils de Dieudonné Cédor et de Luckner Lazard. En 1968, il s’installa à New York où ses relations avec Luckner Lazard deviennent beaucoup plus étroites. C’est alors qu’il s’est laissé tenté par des peintres cubistes et particulièrement par Lyonel Feininger. Il peignit alors des scènes de marché, des paysages et des marines. Il a toujours attaché une grande importance au graphisme et à l’organisation de l’espace sans jamais ignorer le rôle de la couleur. Il lui arrive même parfois de laisser parler la couleur dans des compositions presque abstraites mais combien évocatives et poétiques. He Il est survécu par son épouse de 52 ans, Violette Denis; ses filles Rachel Denis et Pascale Senatus; ses petits enfants Sarah Denis, Yoseph Denis, et Richard Box; sa belle fille Denise Denis, et son beau-fils Ernest Senatus, ses sœurs Bernadette Hoffman, Stephanie Maurice, Marcelle Nader, et son frère Camille Denis; ainsi que de nombreuses nièces, neveux, petites nièces, petits neveux, et arrière petite nièces. Son fils, Les Denis, sa sœur Eugénie Denis et son frère Ethear Denis sont décédés avant lui. Raphael DENIS est né le 5 juin à Port-au-Prince en 1934 et est décédé le 7 juillet 2012 à Brooklyn NYen sa résidence. Il s’est d’abord adonné à la reliure avant de se tourner vers la peinture qu’il travailla à la Galerie Brochette en suivant les conseils de Dieudonné Cédor et de Luckner Lazard. En 1968, il s’installa à New York où ses relations avec Luckner Lazard deviennent beaucoup plus étroites. C’est alors qu’il s’est laissé tenté par des peintres cubistes et particulièrement par Lyonel Feininger. Il peignit alors des scènes de marché, des paysages et des marines. Il a toujours attaché une grande importance au graphisme et à l’organisation de l’espace sans jamais ignorer le rôle de la couleur. Il lui arrive même parfois de laisser parler la couleur dans des compositions presque abstraites mais combien évocatives et poétiques. Il est survécu par son épouse de 52 ans, Violette Denis; ses filles Rachel Denis et Pascale Senatus; ses petits enfants Sarah Denis, Yoseph Denis, et Richard Box; sa belle fille Denise Denis, et son beau-fils Ernest Senatus, ses sœurs Bernadette Hoffman, Stephanie Maurice, Marcelle Nader, et son frère Camille Denis; ainsi que de nombreuses nièces, neveux, petites nièces, petits neveux, et arrière petite nièces. Son fils, Les Denis, sa sœur Eugénie Denis et son frère Ethear Denis sont décédés avant lui.